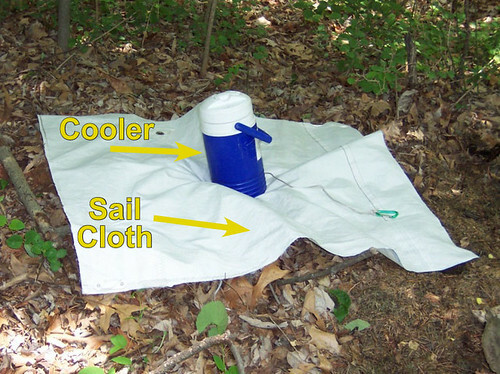 Sail cloth tick traps are a one meter square piece of sailcloth with a cooler in the middle containing dry ice. The ticks are attracted to the CO2 emitted from the cooler and stay on the sailcloth long enough to be collected. If you find one in the field, PLEASE DO NOT DISTURB IT.